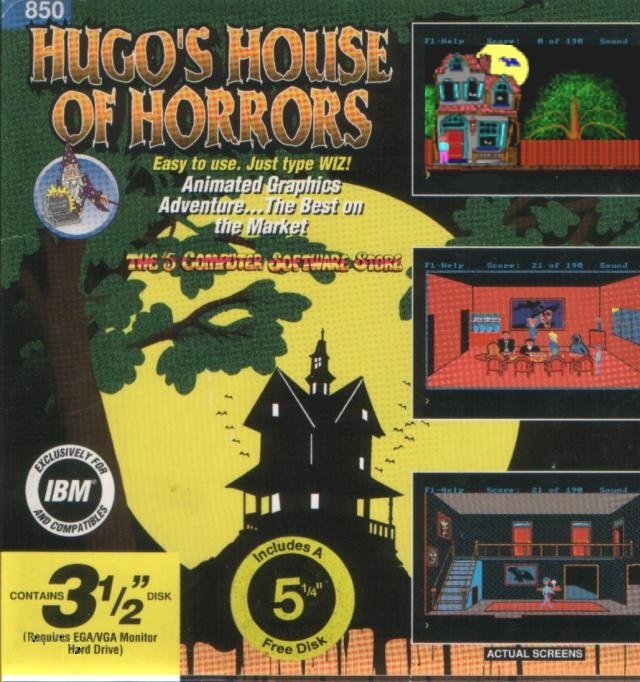 Hugo's House of Horrors was the first game in the Hugo trilogy. Hugo must save his girlfriend Penelope who is prisoner in the house of horrors. Hugo's House of Horrors is now supported by ScummVM, a program designed to let 2D adventure games run on multiple platforms. With ScummVM, Hugo's House of Horrors now runs on modern versions of windows, as well as Linux, Mac OS X, and many consoles such as Dreamcast, Wii, PlayStation 2, and PlayStation Portable. For a complete list of platforms supported by ScummVM, see here.